The Aldershot Raceway at Rushmore Arena in Hampshire is a purpose-built driving venue in the South East near London and hosts supercar driving experience days. Thanks to its close proximity to London, Aldershot Raceway is a popular venue for driving exotic cars such as a Ferrari, Lamborghini, Aston Martin and many more options. Rushmore Arena also hosts a variety of events such as banger and stock car racing, rally driving and stunt shows throughout the Year. The Supercars available at Aldershot include the likes of a Lamborghini and Ferrari. 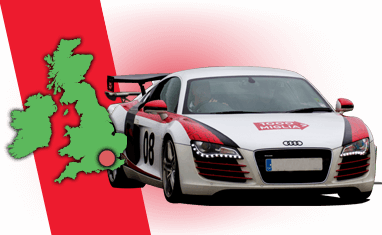 Find available dates for aldershot raceway driving experiences with our live calendar.